I’ve been watching this product come together since it was announced as a Kickstarter project and now it’s available for public sale. This cunning cutlery is a stainless steel teaspoon that is shaped as a skull. It means you might need 3 instead of 2 spoons of sugar for your tea, but it is all about form not function. It measures 15 x 3.2 x 1.4 cm and I’d suggest you get two as someone will certainly steal your first one. What is it called? Cutlery, Flatware or Silverware? Around here we prefer the term cutlery obviously but the discussion continues everyday about what we call those utensils that we use to put food in our mouths. What is it called? Cutlery, Flatware or Silverware? Isn’t Silverware supposed to be made of silver? 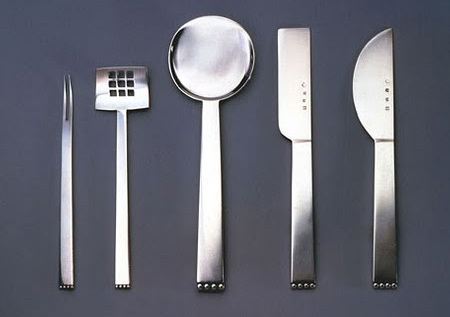 The above image is some flattened design flatware by Josef Hoffmann. A great post at The Grammarphobia Blog talks about what is “flat” about Flatware and the history of the terms that we seem to use interchangeably. 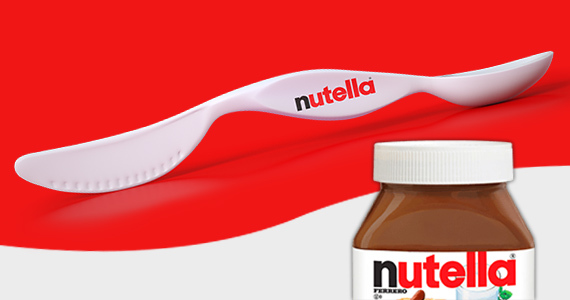 Does this product full under the category of Spork? It’s hard to say but it sure looks like a fun piece of multipurpose cutlery. 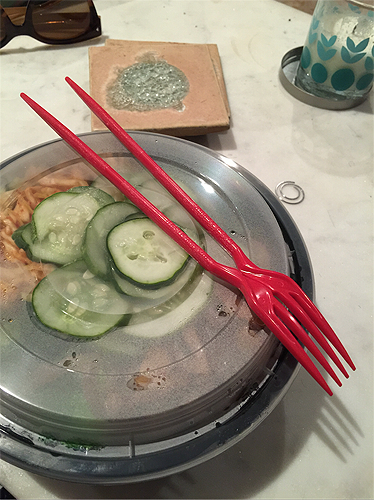 The Chork is a clever mix of chopsticks and a fork into one piece of flatware. It’s a disposable flatware product made of food grade high impact polystyrene that I would hope to see in my takeout from my favorite Asian restaurant. I’m pretty good at eating with chopsticks but serving food from the container to my plate has always been a problem and that fork would be handy. 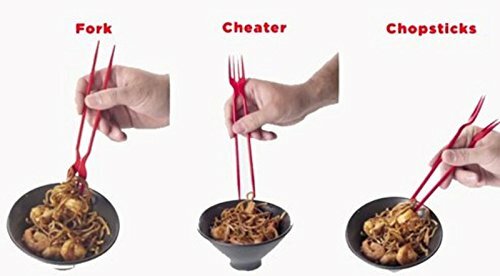 It can be used as a fork, as cheater connected squeezable chopsticks, and snapped apart for regular chopsticks. Available in 6, 12 & 24 packs.